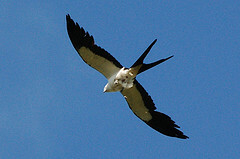 The first Birding Trail was established in Texas in 1996. 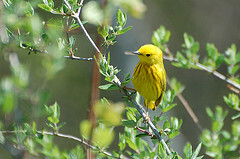 The American Birding Association provides a partial list of birding trails located across the United States. To plan a trip or simply learn more about the trail in your region, click one of the ABA's listed links for trails around the country. Individual sites provide may sell bird trail maps, provide free general information, or even detailed maps showing routes to specific sites such as national, state, and municipal parks, boat launches, and private areas. The Important Bird Areas, or IBA program, “is a global effort to identify and conserve areas that are vital to birds and other biodiversity,” begun by BirdLife International in the 1980s. National Audubon is BirdLife’s U.S. partner for IBAs and has worked with other nonprofits, agencies, landowners, and community groups to designate more than 380 million acres-worth of IBAs in 47 states as of 2010. Identification and designation of IBAs is a strategic means of communicating the importance of these areas to decision makers. The program also seeks to assist landowners and local groups to minimize habitat loss and degradation. A map of all US IBAs is available, searchable by state. Even withou t being a bird watcher, knowledge of your proximity to Important Bird Areas or parts of a nearby Birding Trail will be important if you have an interest in natural heritage tourism. If you have ever considered promoting some form of agritourism on your property, birding is a popular pastime that not only appeals to adults but increasingly serves as a hook for kids participating in environmental education programs. A first step to consider would be inviting a local bird group or university students to visit your property during different seasons and develop a bird list.